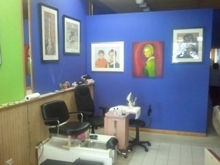 Offering a full range of effective treatments in a welcoming friendly environment. We are doing all services In Call and Out Call. Swedish - overall relaxation improves flexibility and circulation; Deep Tissue - a broad approach to treating the whole body; Reflexology - pressure point therapy administered to points on feet and hands; Aqua Pressure; Hot Stones; Salt or Sugar Scrub and Glow. 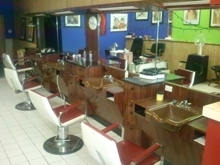 Haircut - for men and for women; Blowdry & Style; Set Comb Out; Perm; Color; Highlights; Hair treatment; Wedding Style; Treatment. Manicure; French Manicure; Polish Change (Manicure); Full Tips; Filling; Design Manicure; Spa Manicure; Full tips; Design and Massage; Pedicure; French Pedicure; Polish Change (Pedicure); Spa Pedicure. Eyebrows; Lip; Chin (each); Whole Face; Hands; Arms; Underarm; Half Legs; Whole Legs; Brazilian; Bikini; Back; Chest. European Style Facial; Facial for Men; Mini Facial. Spa parties, ladies parties, wedding parties, bridal showers.